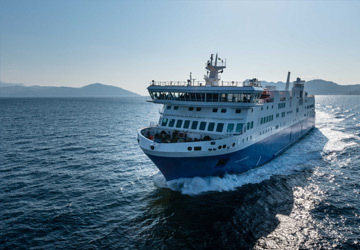 The Livorno Olbia ferry route connects Italy with Sardinia and is currently operated by 2 ferry companies. The Moby Lines service runs up to 14 times per week with a sailing duration of around 6 hours 30 minutes while the Grimaldi Lines service runs up to 14 times per week with a duration from 8 hr. So that’s a combined 28 sailings on offer per week on the Livorno Olbia route between Italy and Sardinia. Compare now and get the best fare at the time that you want to travel. Prices shown represent the average one way price paid by our customers. The most common booking on the Livorno Olbia route is a car and 2 passengers. Everything was well organized. We arrived on time. Trip passed nice. I was satisfied. Signs to the port were terrible, very confusion as too how to get to the port for the correct ferry - which can be stressful if your not 100% sure where your going is correct. Ferry did not have enough seats, and the facilities for the kids was limited and over crowded - would have made sense if the TV was more distance from the kids playing area. Entrance to the Ferry on the Olba to Genoa journey was very confusing as they wanted all car passengers to walk on, lights in the room were not working... Food was fine, staff were helpful - but top deck with pool was closed. 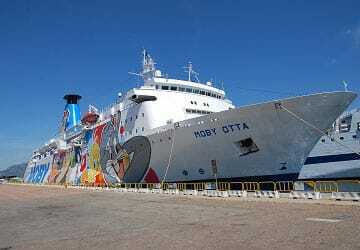 "MobyLines + Direct ferries Livorno- Sardegna"
Moby Lines -OK, everything was according to the plan and expectations. 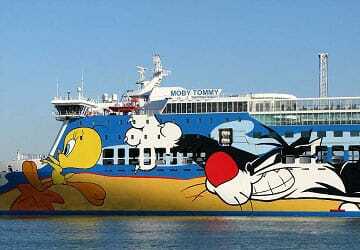 Direct Ferries- I had to change some details on the booking ( the car/the brand/reg number) in the same day of travel. 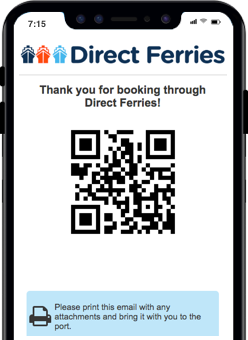 The ticket was non amendable, but thanks to Direct Ferries it was possible to do it in 5 min. I think I would not be abble to do it with moby Lines. We travelled really good on the outbound with the night ferry. On the return the toilets on the ferry were dirty. Air conditioner was too strong inside the ship. The quality of the restaurants was very good instead. Quality of services in line with previous years but needing improvement , especially during the landing. The Italian city and port of Livorno lies in the Ligurian Sea on the western coast of Tuscany. Much of the original street layout and architecture has been retained in the New Venice area of the city. In this area visitors can see old bridges, narrow lanes, noblemen's houses and a network of canals that were used to connect its port to the city's warehouses. Also of interest are many fine examples of neo-classical buildings, museums, public parks and cultural institutions. Containing memorabilia, documents and operas by the composer Pietro Mascagni, who lived in the city, is the Museo Mascagnano and is well worth a visit. Organised by the Traditional Theatre of Livorno, some of Mascagni's operas are performed during the lyric music season. The city's port is the third largest on Italy's west coast and provides many services and facilities including cargo handling and passenger services. 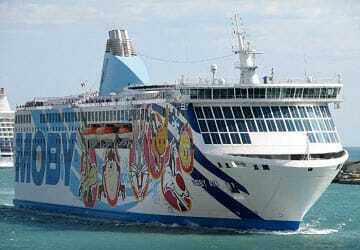 The port's facilities include wheelchair ramps, toilets and shower facilities for passengers. There are also bars, restaurants, a conference centre, banks and a passenger information kiosk. 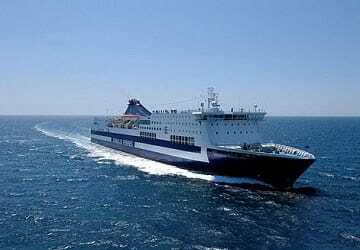 From the port, there are ferry services to Bastia, Olbia, Golfo Aranci, Cagliari and Tunisia.